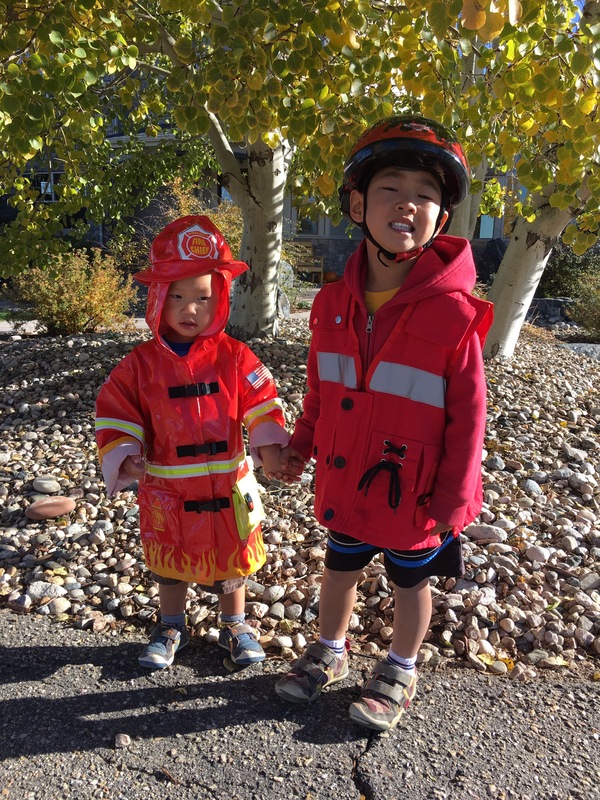 Edric’s preschool had the local firemen visit. It was not on one of his normal preschool days but he wanted to see them so I loaded up him and Paxton and we went into preschool. 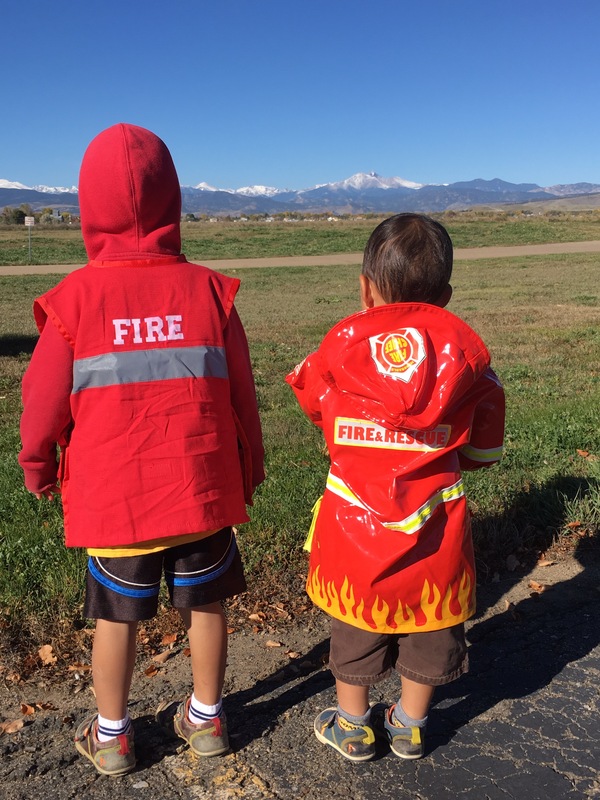 Both he and Paxton insisted on dressing the part and all morning long Paxton walked around saying “see fire truck”. I know I’ve mentioned before how much Paxton loves all things cars/trucks/etc related. Any big long red truck that we see he insists that it is a fire truck. At church once a month or so there is a blood donation truck that is big and red, we can’t go inside until we stop and wave and stare longingly at the blood truck and say “hi fire truck” at least 1000 times. Of course while we are doing that I’m busy trying to explain to the older kids all about blood donation and why the truck is actually there. I thought they had it down pretty well until as we were pulling out of church a few weeks ago Edric waved and said “Mommy that truck take blood from people’s tummy’s and then drive to your hospital and stick it in sick people’s tummy’s”. Not exactly buddy but getting closer…..
We actually got to the preschool a little early which never happens and so I got some photos of my two firemen. And we practiced jumping over all the cracks in the parking lot. The firemen/woman started with a classroom explanation and book reading. The book was really good and the kids seemed to understand it well, it was called something like “Don’t invite the Dragon to Tea” or something. The dragon sneezed in the book and caught everything on fire and then the kid and dragon had to use all their fire safety lessons to get out safe and follow the fire plan. The fireman then put on all his gear to show the kids that if they are stuck in a fire and a fireman comes to rescue them not to be afraid of them but to know that the fireman is there to help them. Finally we got to go outside and see the fire truck. Paxton was in awe and just sat on my lap and stared lovingly at the fire truck. 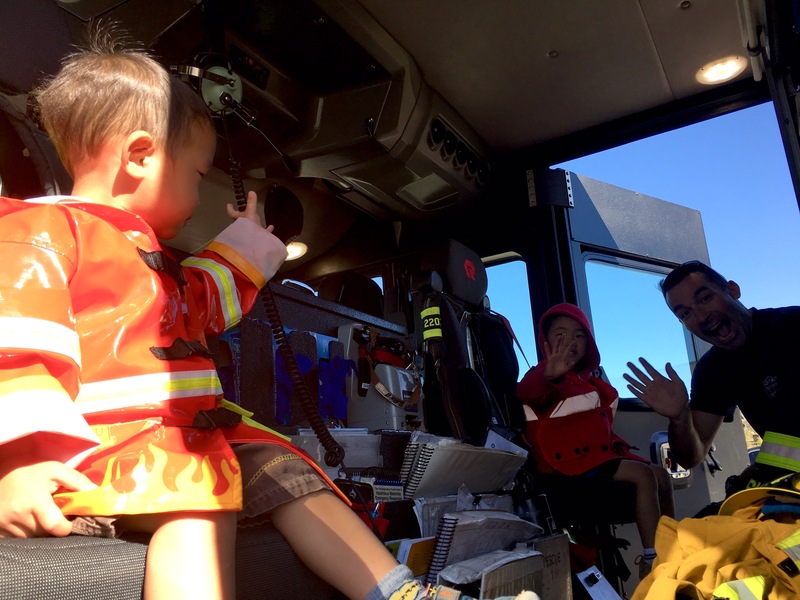 Edric sat quietly next to me (which if you know Edric is not at all normal…turns out he had a huge fever that I didn’t discover till we got home….at least he got to see the fire truck right?). We waited our turn to climb up on the fire truck. Paxton settled in like he belonged there and had no intention of leaving. 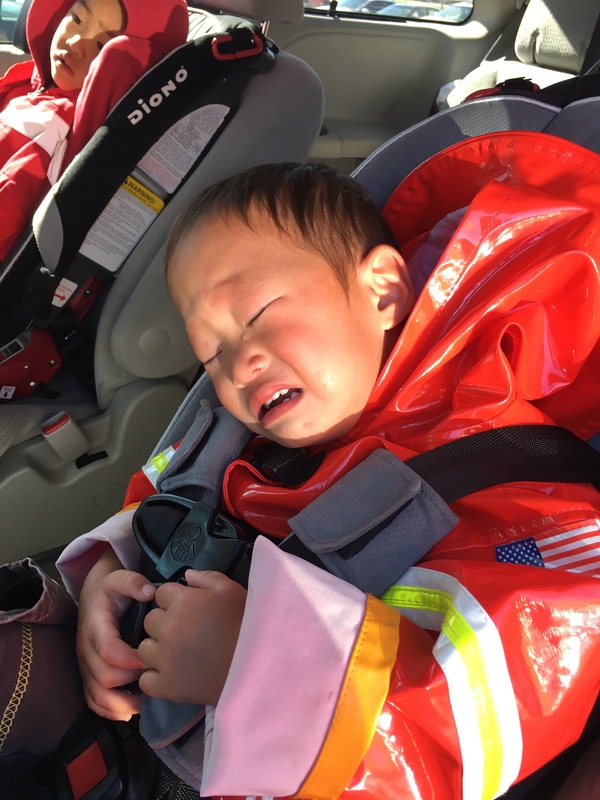 In fact he threw a royal fit when we did leave…I think all of town heard him cry and he continued to cry and scream “No bye-bye fire truck” all the way home. I told Clint, I think he would have just been content to live out his days just riding around in the fire truck. Don’t think he really cares to fight fires, just ride along for ever. We had a great morning being fire fighters, or at least seeing the truck and spending time together. Next Post Coppélia-6 Months Home!